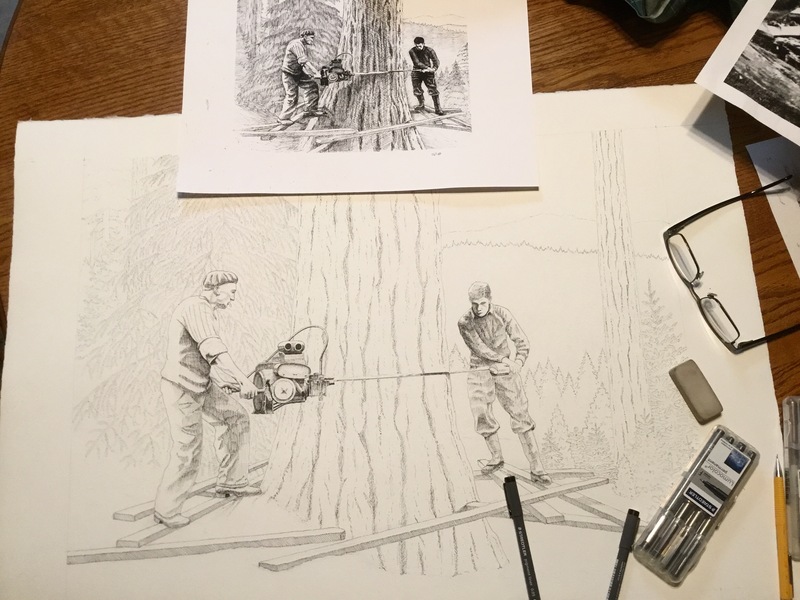 I’m continuing to work on the painting for the forestry education art auction. Here is the latest update. The inking is done and I’ve cleaned up most of the pencil lines. I find the pencil lines are very difficult to remove once the paper has been soaked. The paper has been soaked and stapled onto the frame. Now mounted, it will be ready to paint as soon as it dries. It looks a little mottled from the moisture, but that fades as the water dries. Nothing left to do but splash a bit of color on it! Hmmm? I wonder how the competition is coming along. Gee, I wish Mary, of Sneaking Bliss, would give me a little hint! 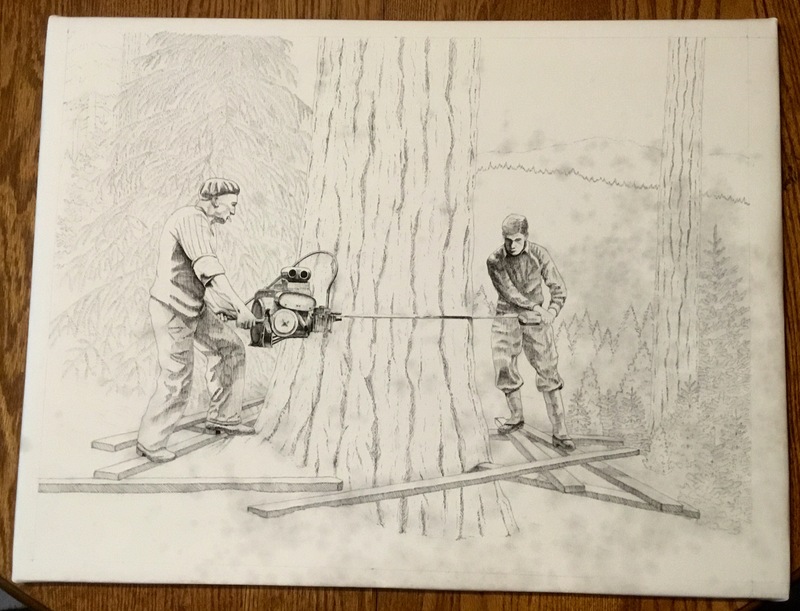 This entry was posted in Drawing, Forestry, Pen and Ink, Watercolors, Watercolour and tagged drawing, Forester Artist, forestry, loggers, logging, pen and ink, Pen drawing, watercolor, watercolour by foresterartist. Bookmark the permalink. You are spot on Leonie! A beautiful piece of art! Thanks Joy! Working on it. Nice drawing. Your figures are so well done. I am too scared to do people very often. I’ve really been trying to improve my people lately. I really find portraits in pen and ink difficult. There’s always something to strive for.